Decals are sold in sheets of 25. Decal dimensions are 1.5 inches. Net proceeds go towards the Babe Ruth Alumni Scholarship Fund. 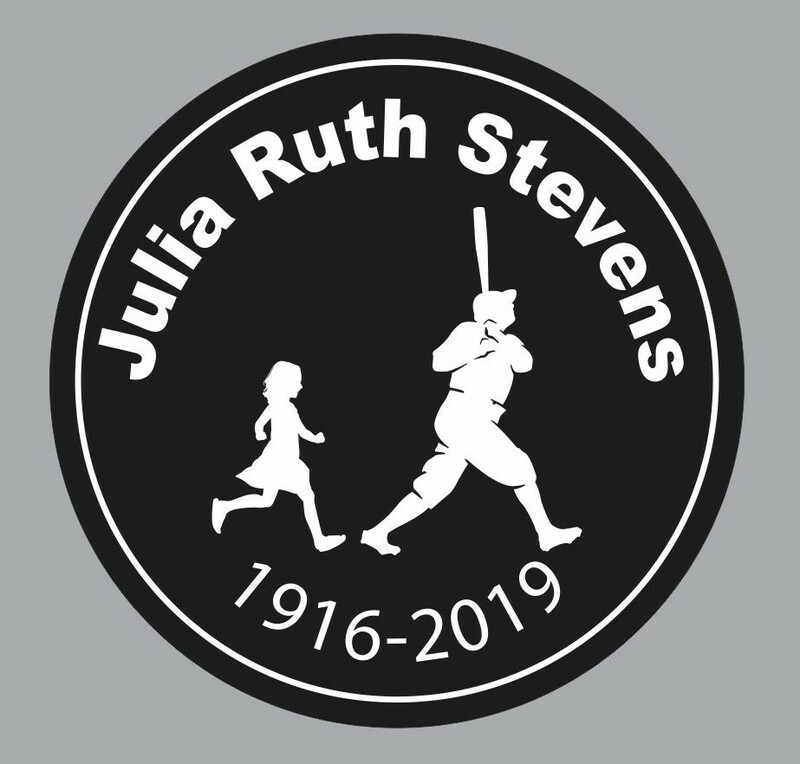 "Julia Ruth Stevens was a great supporter of Babe Ruth League, always promoting the organization. 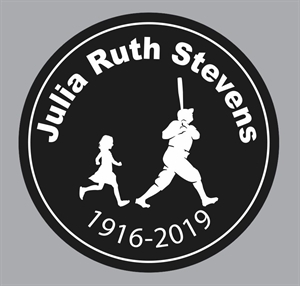 She attended many Babe Ruth World Series where she always made time to spend with players and families."